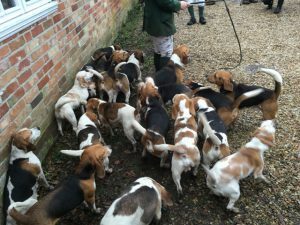 Boxing Day – Tues 26 December, 11.30 – 12.30 the pub will be the starting point for the New Forest Beagles Christmas Outing. They’ll gather here for their Christmas Meet before setting off! Enjoy a very seasonal and “New Forest” way to greet the Second Day of Christmas – and definitely another opportunity to wear your Christmas Jumper!